New Theme Coming Tomorrow – Garage Dusty Exciting Car Team! I’ve been hard at work preparing some ideas for the blog (and going to see the Tigers beat New Zealand) and tomorrow I’ll start the next “week”! Get excited! 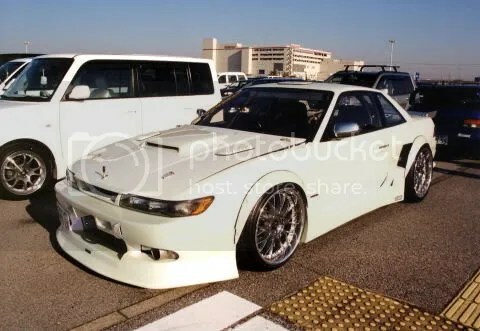 Not too excited though, it is just pictures on the internet, after all. But here’s a quick bonus feature. 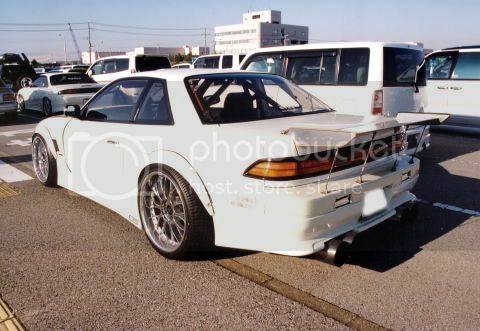 A drag S13 photographed circa 1998, rocking Mitsubishi GTO tail lights! Cool huh?